Le Petit Paris is Celebrating its One Year Anniversary! Home|Posts|Le Petit Paris is Celebrating its One Year Anniversary! 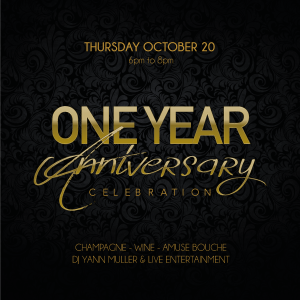 On Thursday, October 20th Le Petit Paris restaurant located in Downtown Los Angeles will be celebrating its one year anniversary! From 6pm to 8pm champagne, wine, and amuse bouche will be served to the rhythm of DJ Yann Muller whose music will be accompanied by live entertainment. In addition to that, a complementary glass of Cassis Kir Royal will be offered all throughout the month of October during lunch, brunch, and dinner to anyone who says the magic word: “Paris je t’aime”. Cheers and Happy Anniversary, Le Petit Paris !